How do you remember all this stuff! During my biology class last week a student just burst out “How do you know all this stuff”, and she was serious. We were going over the endomembrane system of the eukaryotic cells and the material was vast, and I normally teach from my memory and use the power point slides as cheat sheets. But the question did make me wonder, how do I know all this stuff! 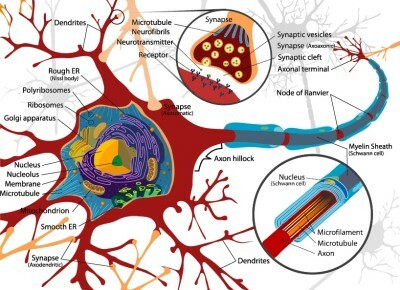 So memory comes from the spiking of neurons induced by a sensory (smell, touch, taste, sound, site) imput, neurons create a synaptic transmission forming a memory pathway in the brain. There are three main stages in the storage and retrieval of memory, number one the brain encodes the memory in the form of a sensory imput. That’s why a certain smell and sound brings back memories from childhood. The next stage is storage, creating a permanent record of your memory which leads into short-term memory (STM) and long-term memory (LTM). Short term memory allow for recall for a period of several seconds to a minute without rehearsal. Any new information must be repeated several times in order for it to become apart of your LTM. One suggestion from an author in Amazing Grades, is to play an old song while trying to remember new material, this opens up pathways of your long-term memory causing you to store this new information along with your favorite song. But be careful you may start reciting physics equation along with a Biggie Smalls song (my best friend’s favorite rapper). Long term memory can store larger quantities of information for potentially an unlimited duration, which helps us recall our first day at kindergarten. Sometimes these memories become cloudy because of a symptom know as traumatic stress disorder, this comes from depression, tragedy, stress, childbirth and traumatic accidents. The disorder causes the imbalance of old and new brain cells, blocking some of the memory pathways that makes some memories hard to retrieve. This brings us to the third stage retrieval this is our ability to call back the stored information in response to some cue. The cue for me was teaching my biology course and realizing this information has become apart of my long-term memory. Aging also decreases your memory i.e appointment books, but not all hope is lost! If you are like me and have been through a traumatic experience and aging at the same time the international longevity center released recommendations for keeping the mind in good functionality until advanced age. 6) and observe good nutrition. Some brain power foods include salmon, nuts, whole grains, blackberries, pumpkin seeds and broccoli. The key here is to keep reading my blog (staying intellectual), exercise and eat nutritional foods so that you can retain unlimited information.